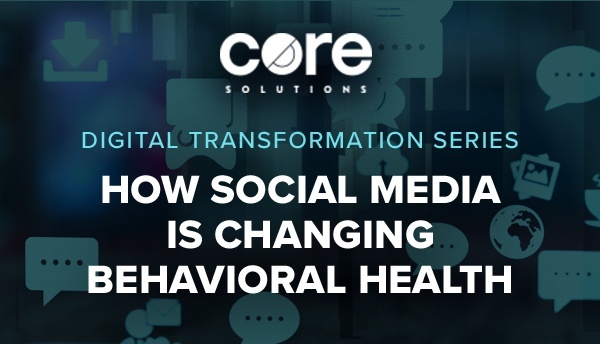 Leaders in the behavioral health industry can prepare their organization for one big element affecting their patient community and their own growth: social media. Here to stay, social media is changing the way healthcare organizations of all types and sizes engage with patients and mature as modern businesses. Explore a few of the ways BH leaders can leverage social media to improve their practice and long-term success. Although there are certain best practices for engaging with patients online—and of course, regulations to protect patients’ privacy—making your presence known on social media can help improve patient engagement and supplement growth strategies. Use social listening to gain insights on consumer experiences and patient satisfaction, spread the word about the treatment options and services you specialize in, share your take on industry news or educate your audience through informative articles and blogs authored by your organization’s experts. Social media has empowered today’s consumer, but you can tap into that same power when you apply the tenants of value-based healthcare to your marketing and business growth goals. Listening to your patients’ needs with the help of social media means your organization is serious about keeping up with the tech times. Social isn’t just for your patients—it’s also where you’ll find your colleagues. Social media platforms like Twitter and LinkedIn are great places to share articles and new research, discuss innovations and ideas and build influence among peers in the behavioral health space. Participating in this online community offers a chance to build your team’s credibility, broadcast your specialties and make connections with other brands and industry leaders that may lead to big opportunities for your practice. Potential partners and many consumers pay attention to how healthcare organizations contribute to the conversation online, so don’t miss the chance to exhibit thought leadership and represent the BH community through social media activity. We already acknowledge the presence that mobile has in our daily lives, but the healthcare community has been slow to make the connection between healthcare services and the public’s preference for mobile communication. Social media’s growing influence on organizations and their consumers serves as a reminder of the importance of mobile; going mobile, maintaining a mobile-first mindset and optimizing for mobile are key objectives for modern businesses looking to stay relevant, and they also apply to those in the healthcare industry. As we work mobile elements into the healthcare equation through mobile EHRs and other useful tools, we also need to consider social media a valuable addition to the mobile health ecosystem. Some business owners tend to have a skewed view about the growth of their company, believing that what affects their success most is outside sources, such as managed care, value-based models, new regulations and digital transformation. Social and economic factors can impact a business, but it’s the decisions that an organization’s leaders make that ultimately determine its survival. Make the decision to explore the benefits that social media can bring to your patients and your organization after considering the big changes it’s bringing to everyone in the healthcare space. If you’re striving for continuous improvement, social media is something you can’t afford to overlook.